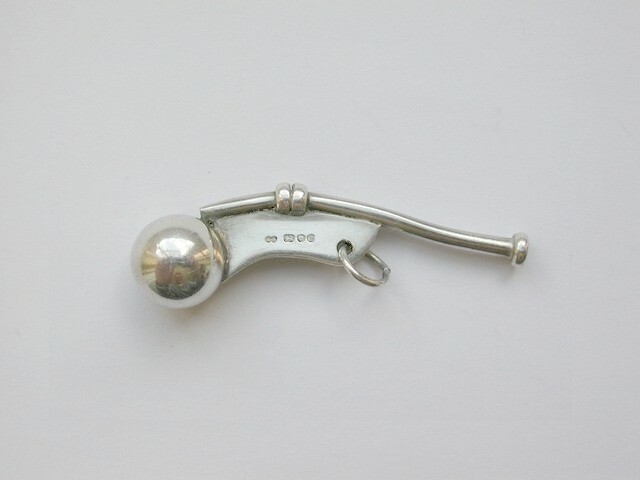 The pipe consists of a narrow tube (the gun) which directs air over a metal sphere (the buoy) with a hole in the top. 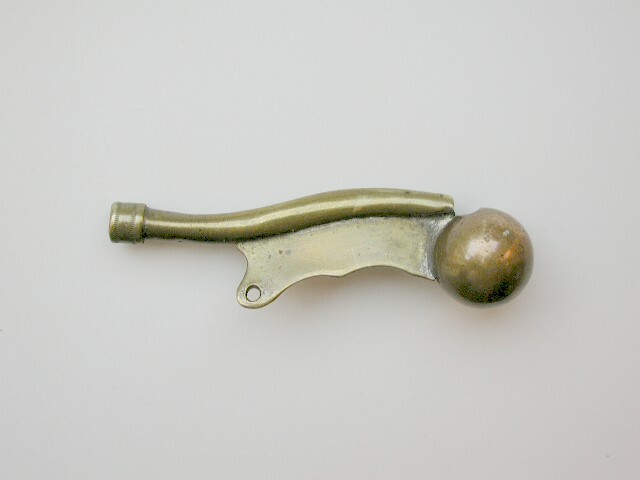 The player opens and closes the hand over the hole to change the pitch. 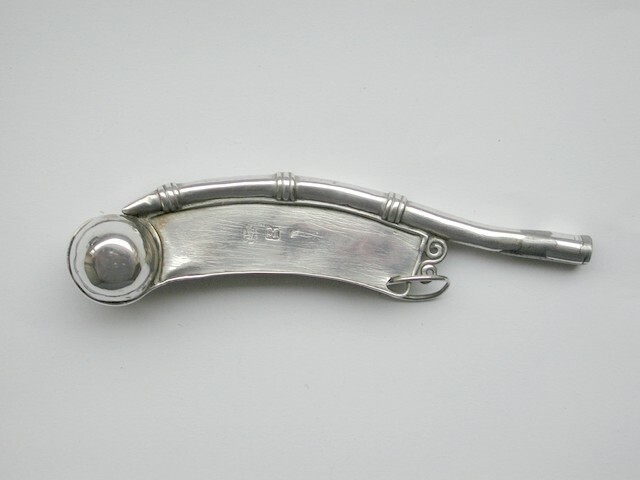 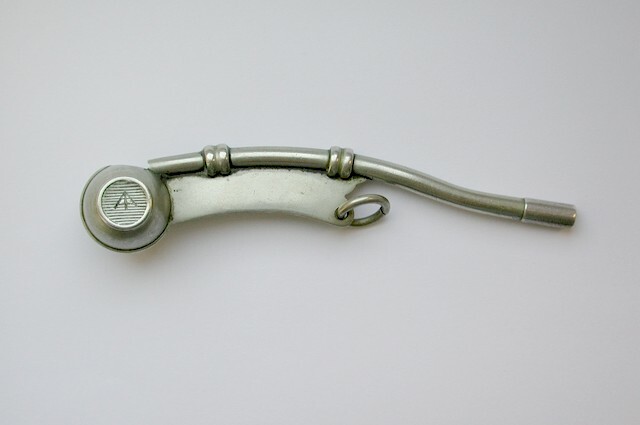 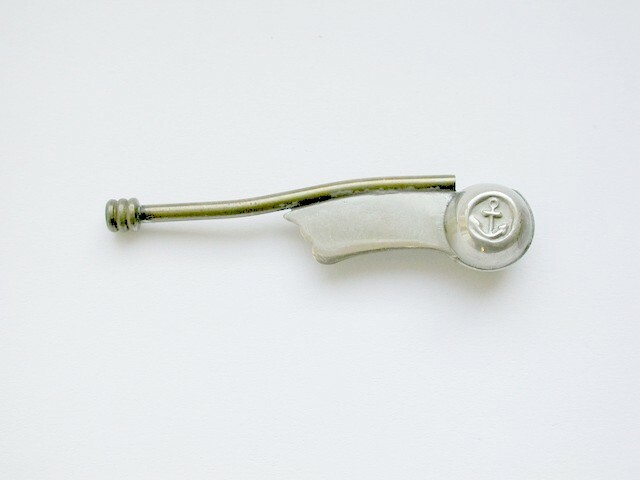 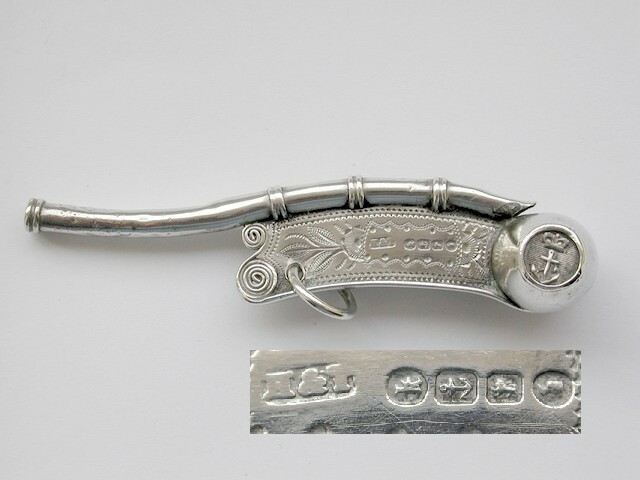 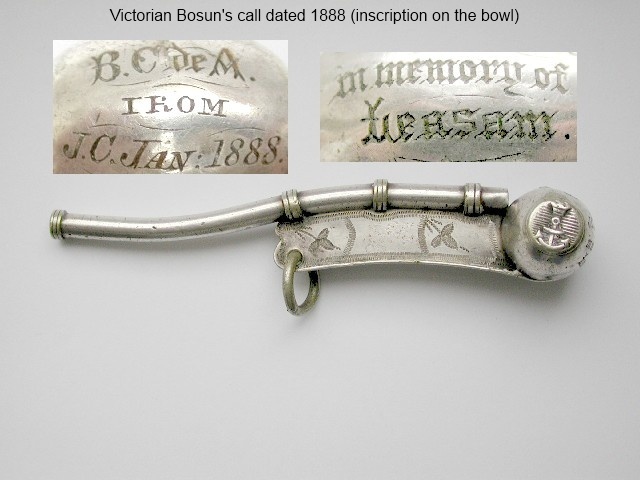 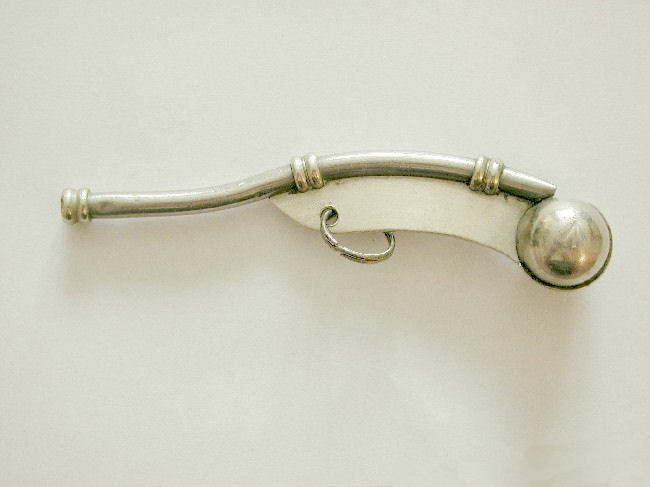 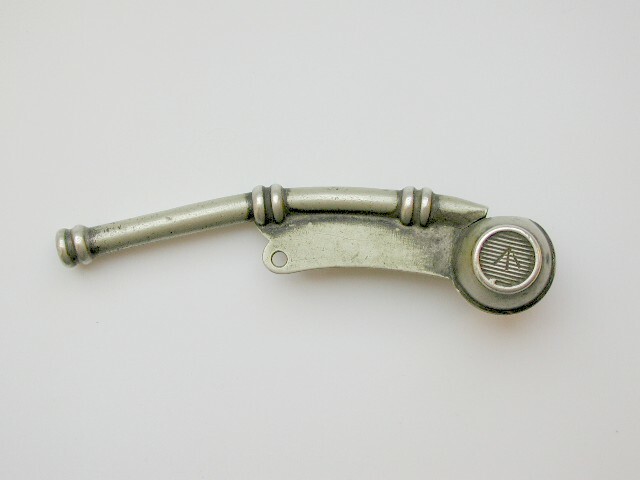 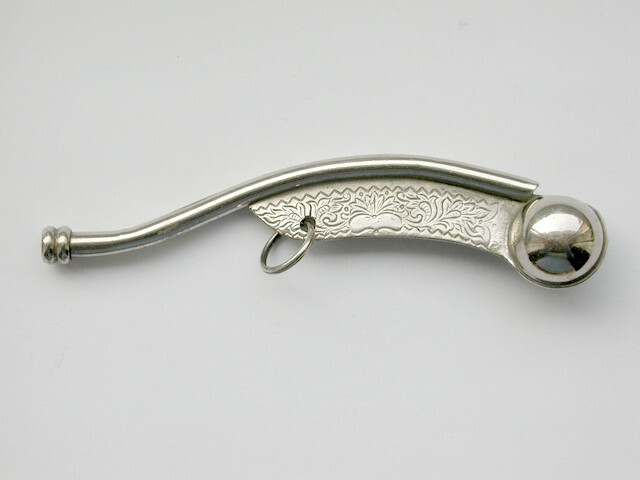 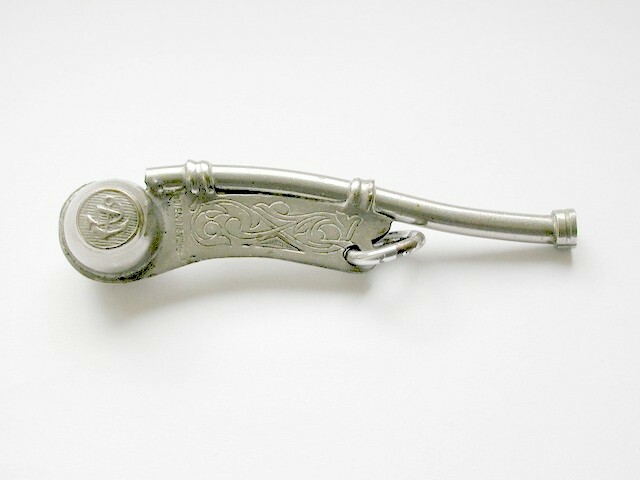 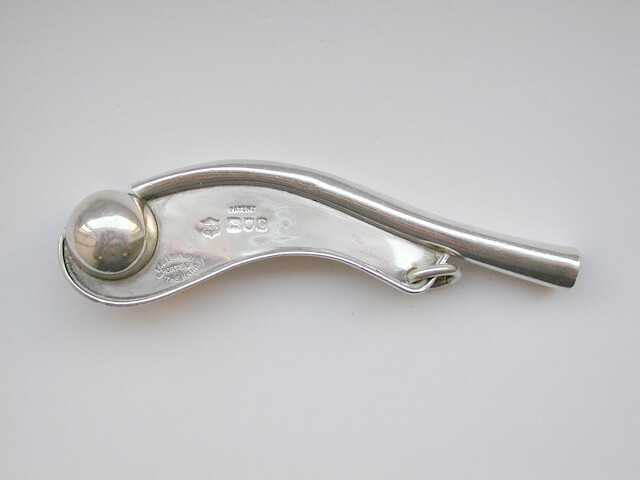 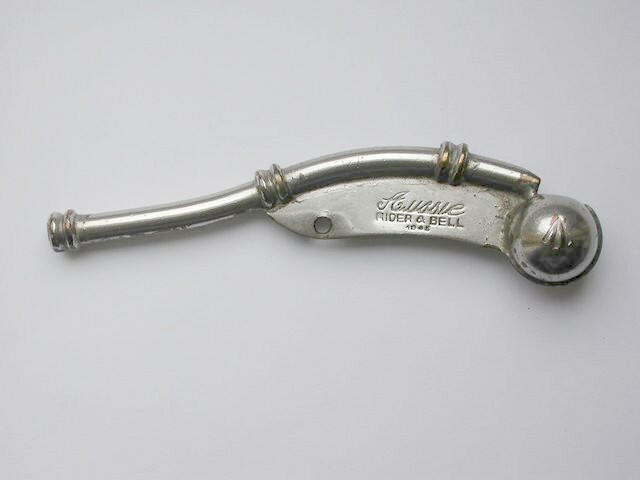 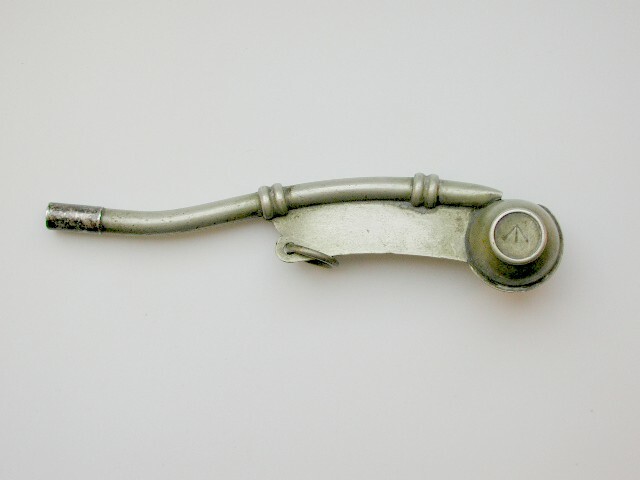 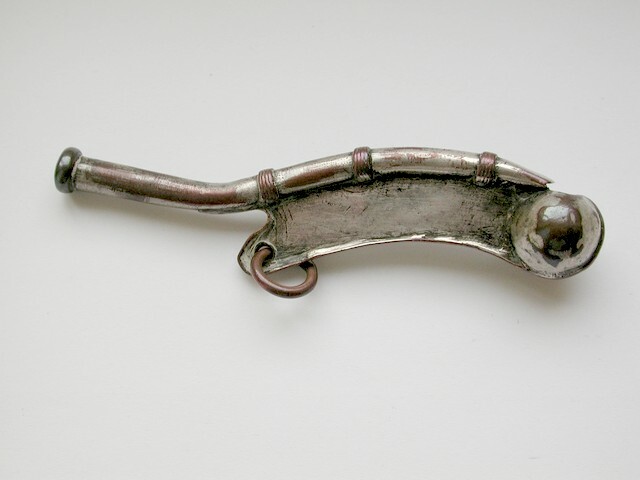 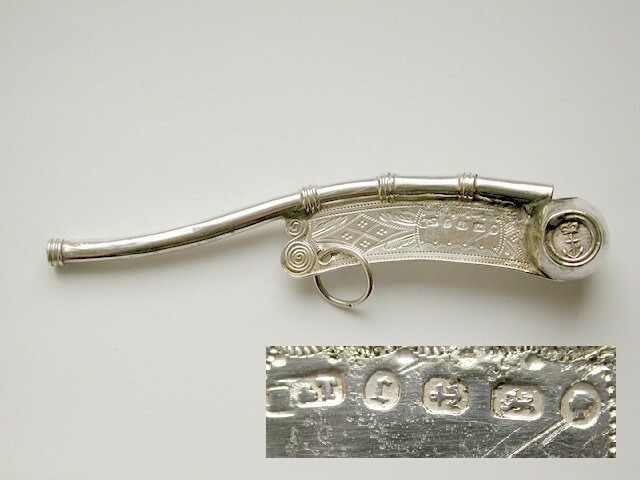 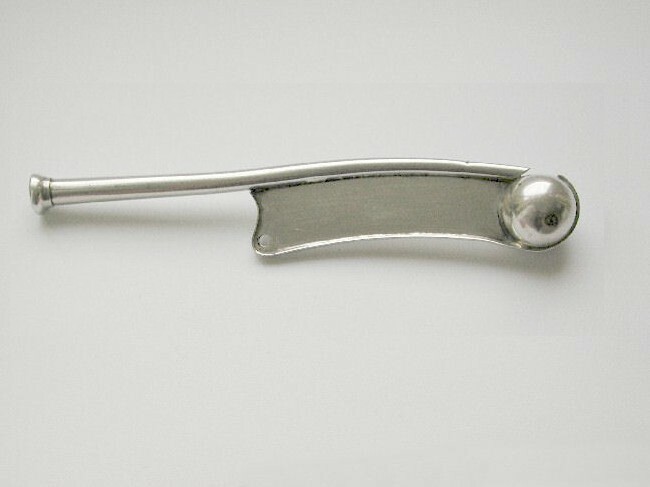 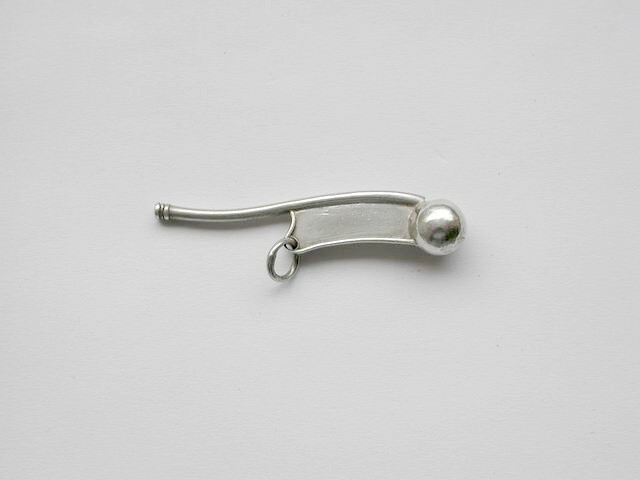 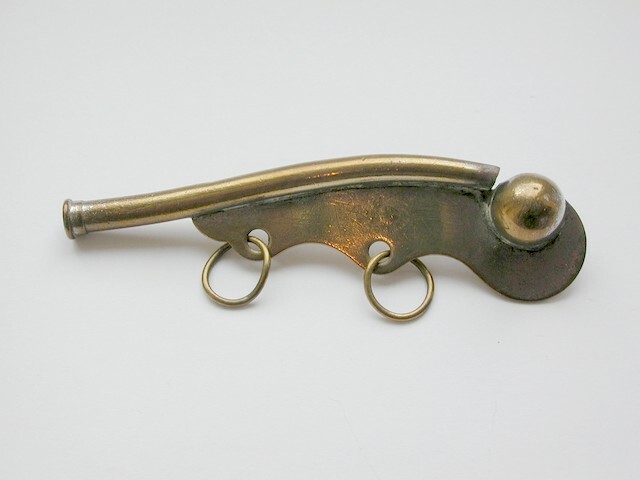 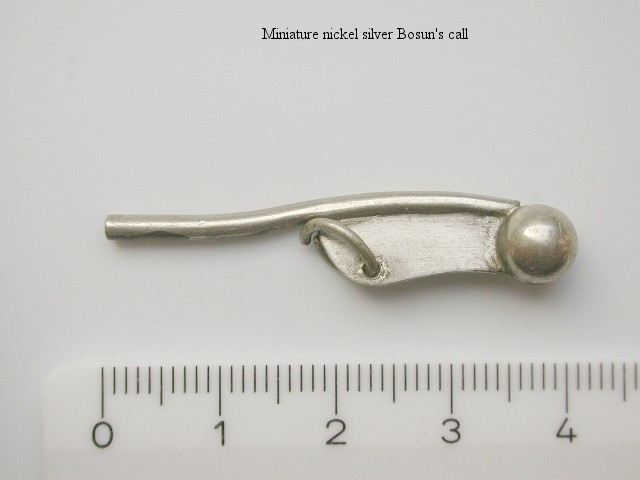 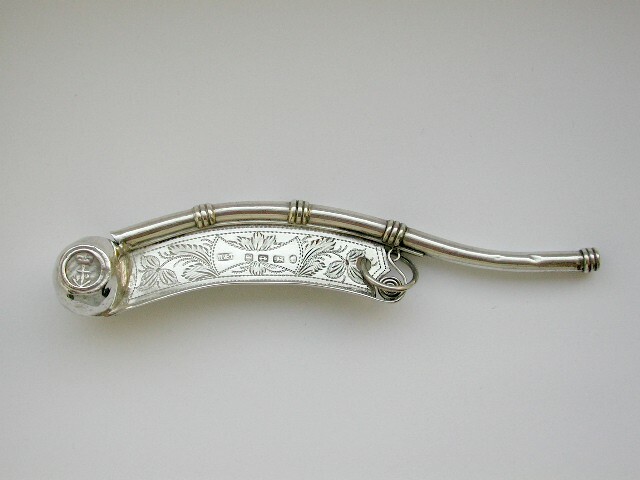 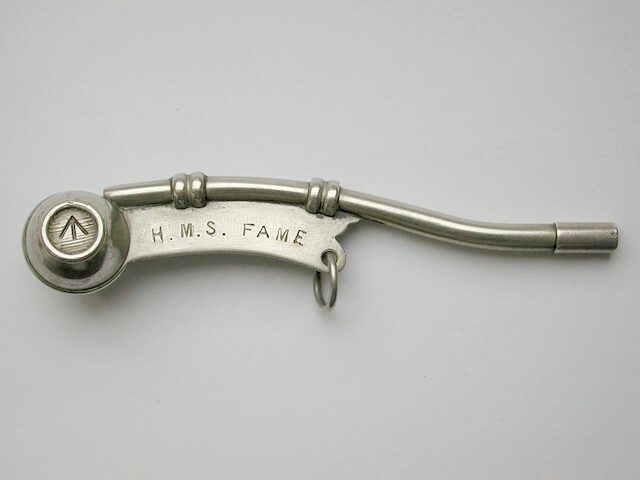 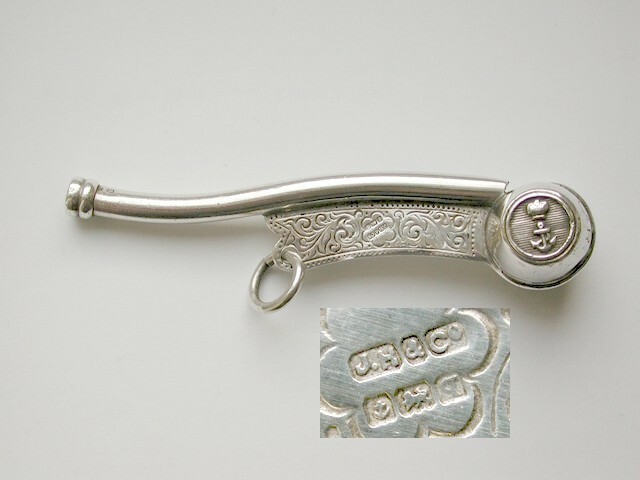 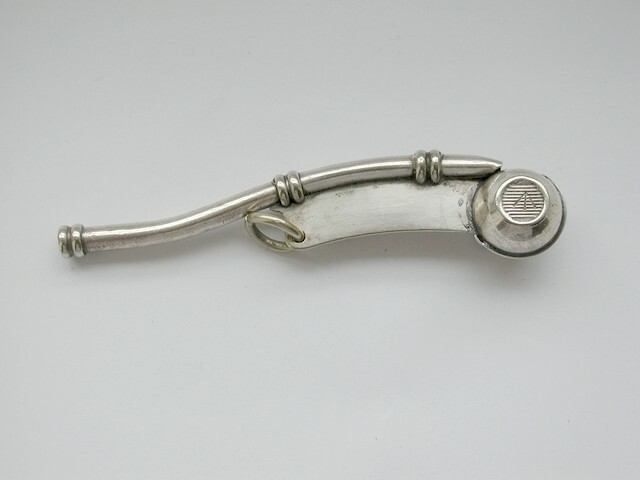 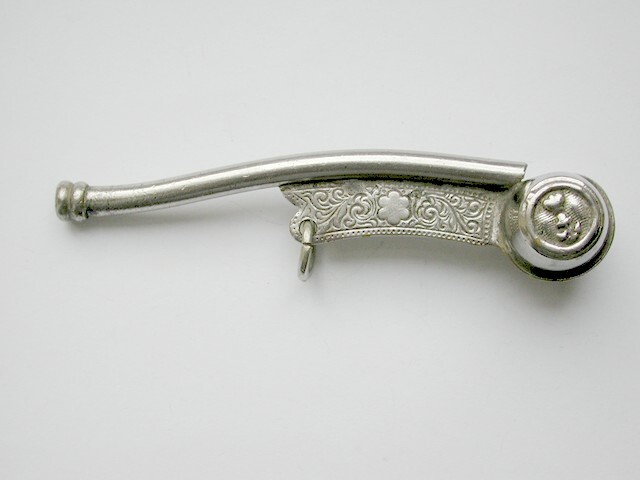 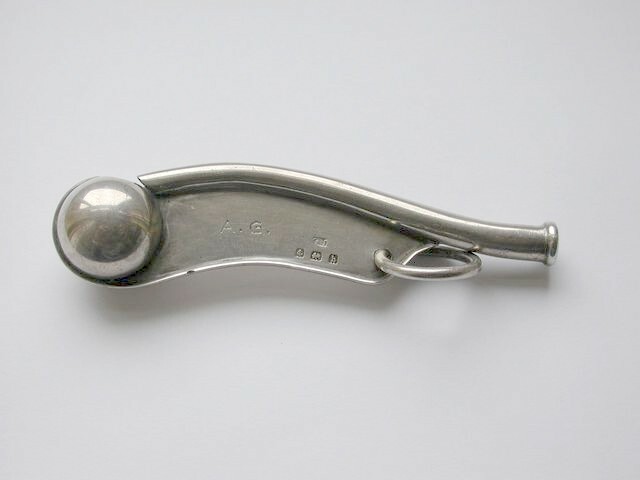 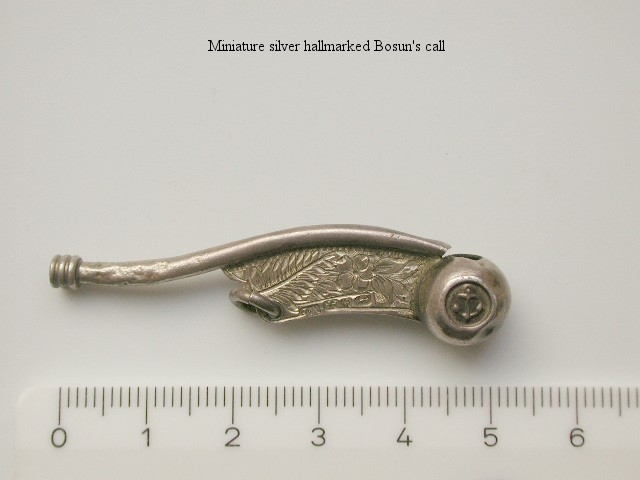 The rest of the pipe consists of a 'keel', a flat piece of metal beneath the gun that holds the call together, and the 'shackle', a keyring that connects a long silver or brass chain that sits around the collar, when in ceremonial uniform.